The hat with Juan Pablo Montoya on the left side and Kimi Raikkonen on the right side. Heavy brushed cottow twill / Polyster. One-KIDS-Size-Fits-All with metal buckle adjustment. 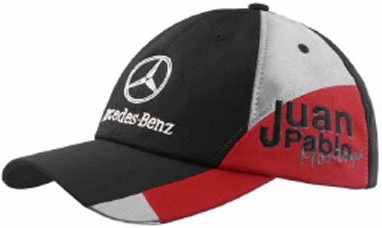 This is of course official Mercedes McLaren merchandise.